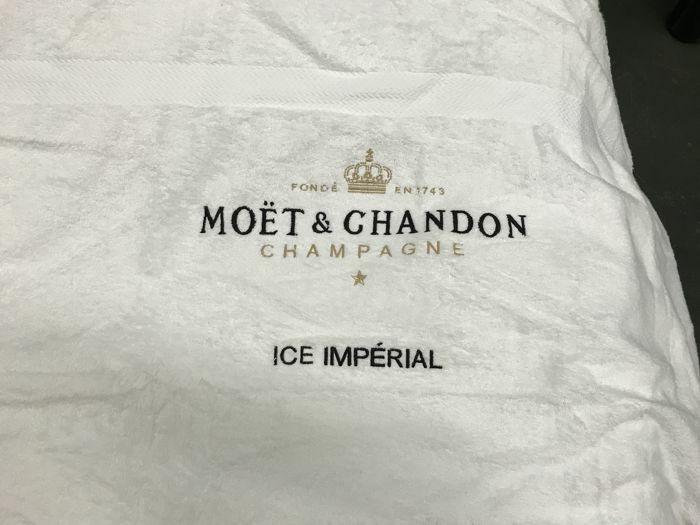 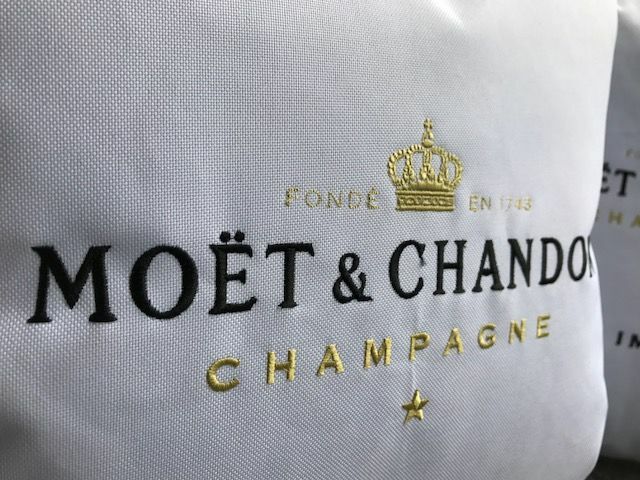 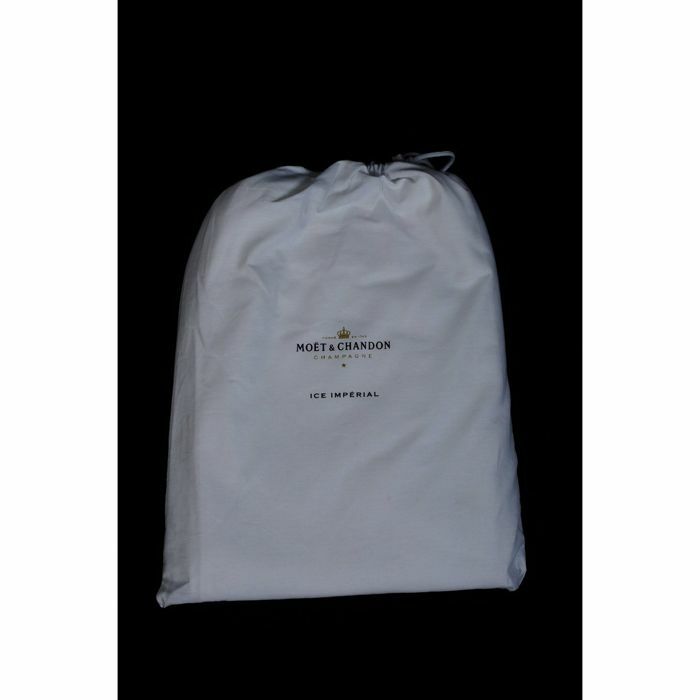 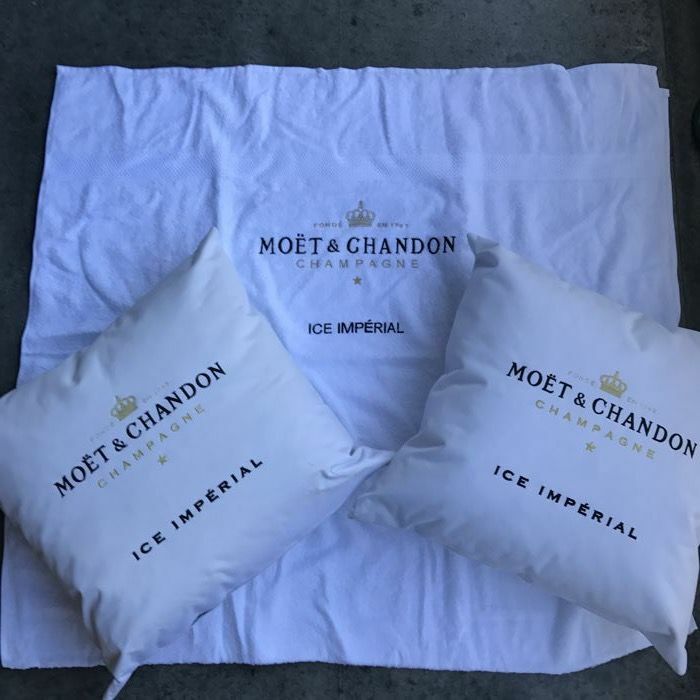 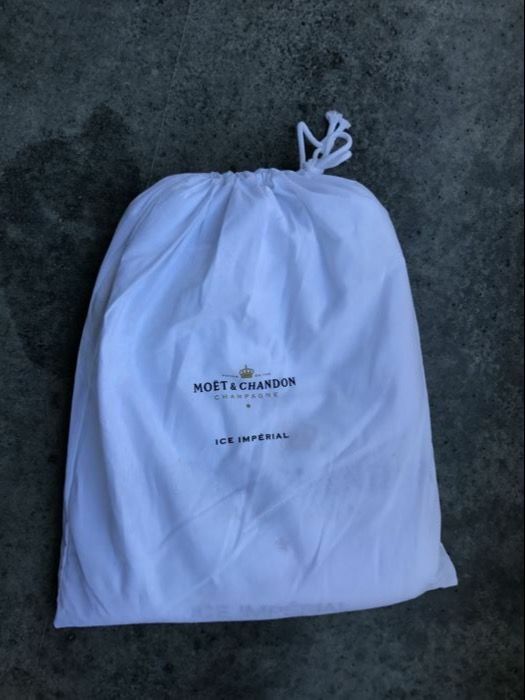 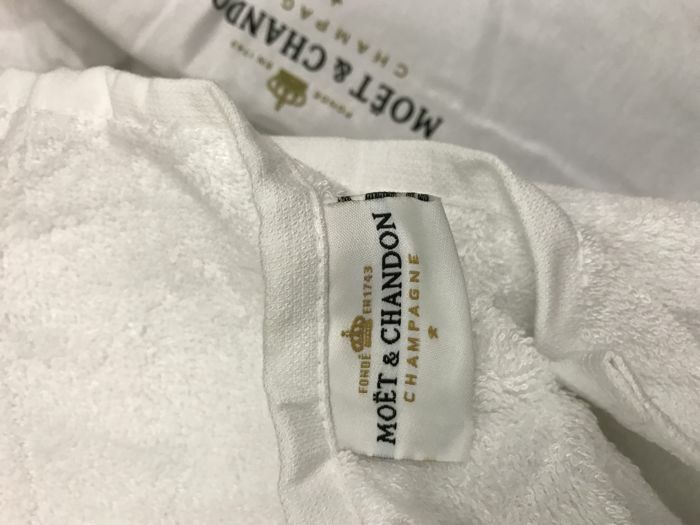 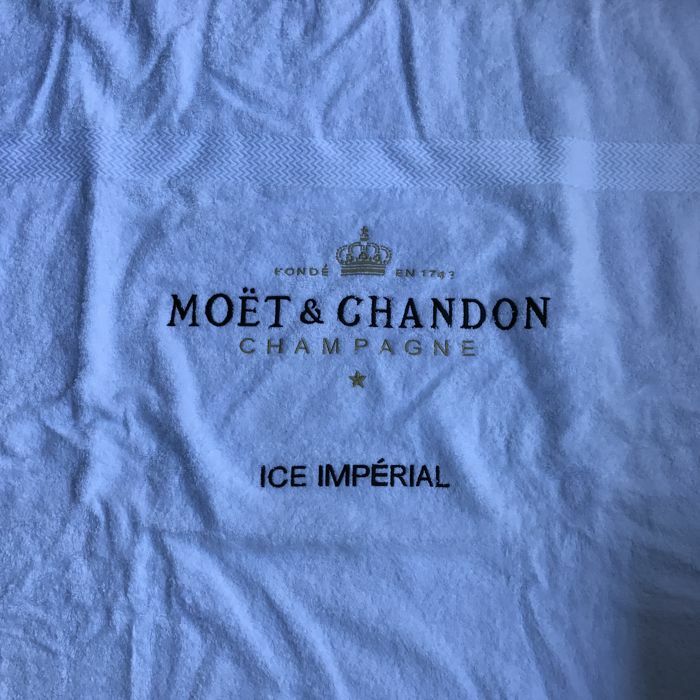 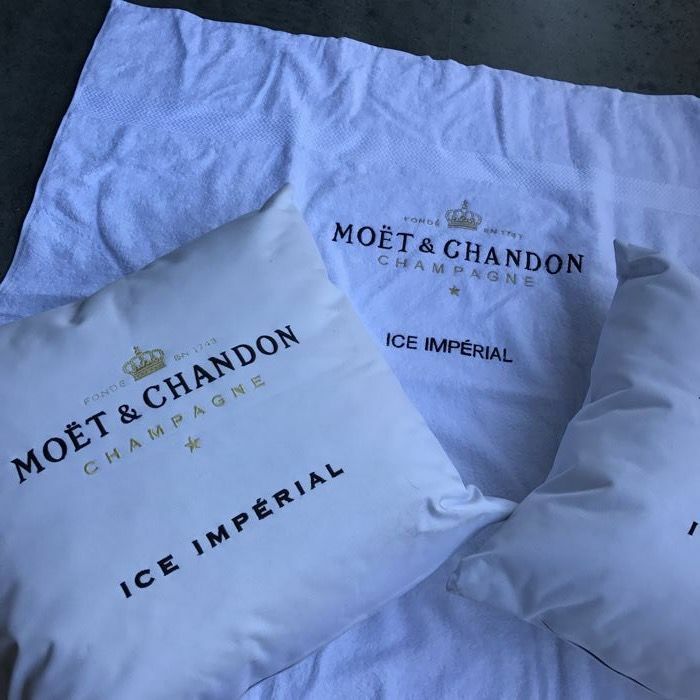 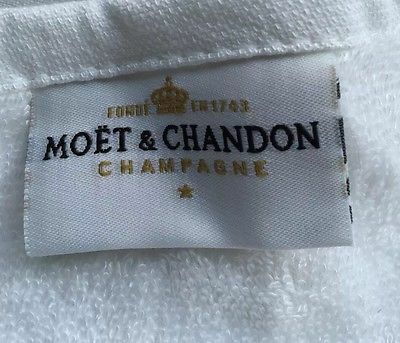 2x Moët et Chandon Ice Pillows. 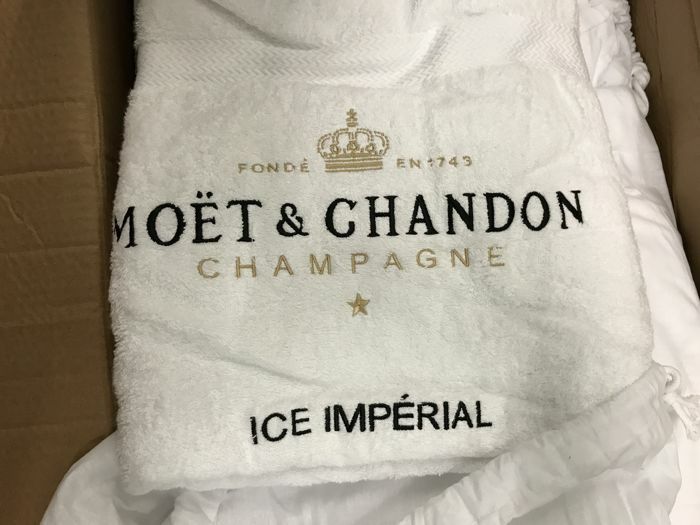 Ca 47 x 47 Made for the Ice Imperial Series. 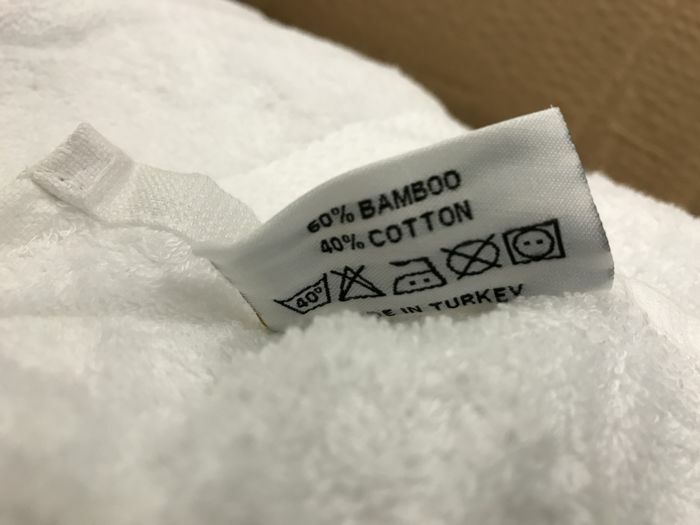 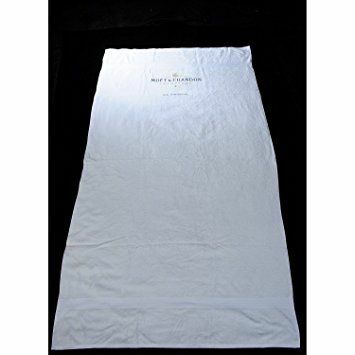 This Pilow is made in a Heavy Quality Water repellent Cotton. 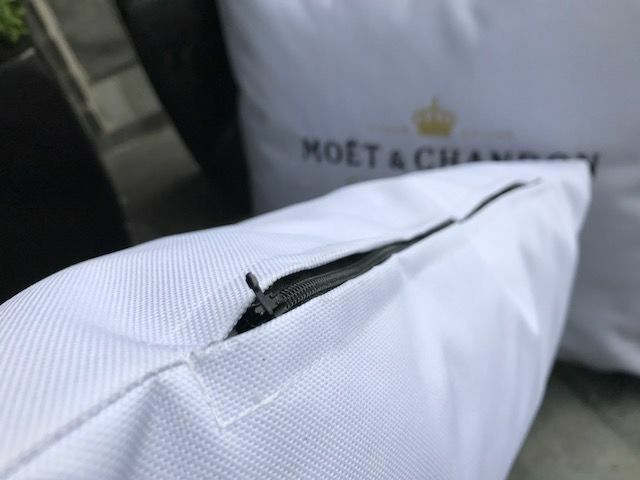 It has inner filling that could be removed. 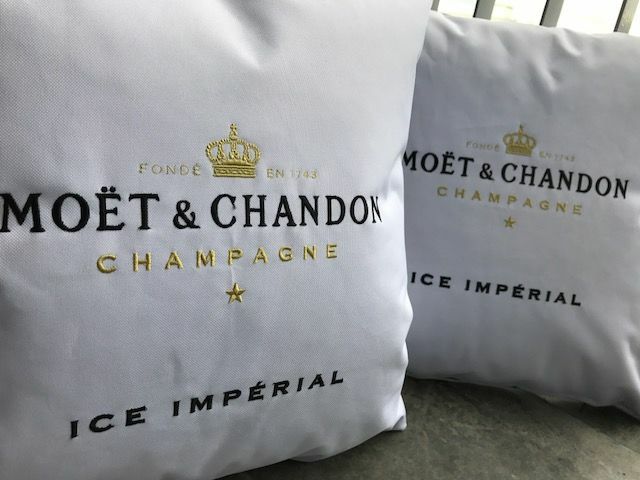 So the pillow is washable. 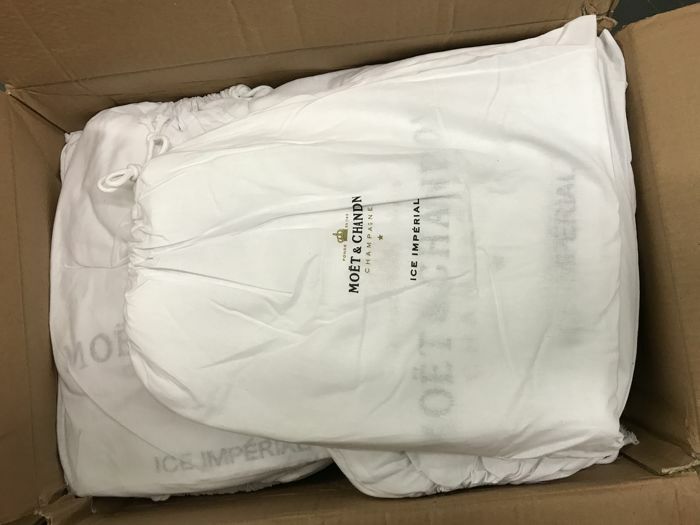 The logo are Embroiderd. 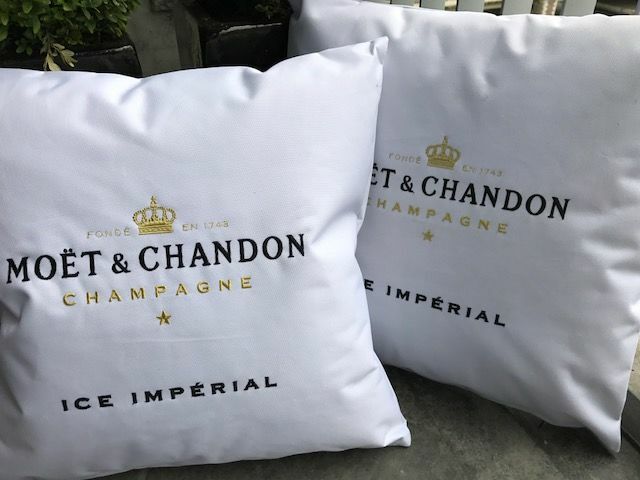 These are perfect for your Garden, or Pool side.